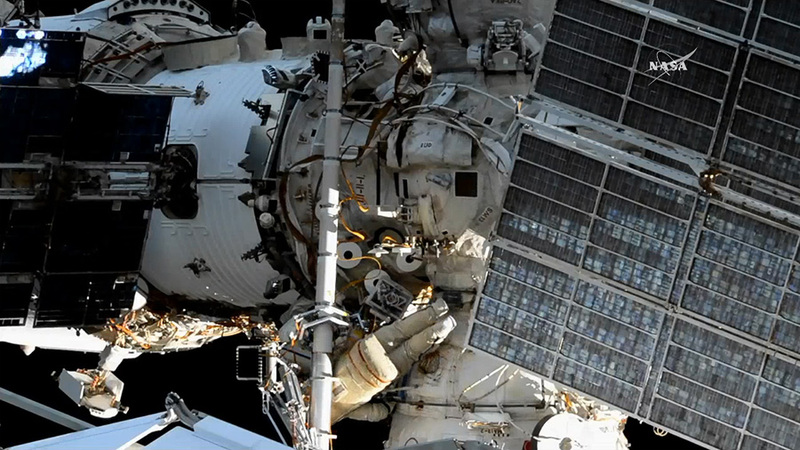 The two spacewalkers exited the Pirs Docking Compartment Station at 10:36 a.m. EDT. Among their accomplishments was manual deployment of five nanosatellites from a ladder outside the airlock. One of the satellites, with casings made using 3-D printing technology, will test the effect of the low-Earth-orbit environment on the composition of 3-D printed materials. Another satellite contains recorded greetings to the people of Earth in 11 languages. A third satellite commemorates the 60th anniversary of the launch and the 160th anniversary of the birth of Russian scientist. They also collected residue samples from various locations outside the Russian segment of the station.